K-Pop. Nowadays, with the meteoric rise of the genre and its fan culture, the term ‘K-Pop’ can often seem like a dirty word. Whether it’s a general dislike for the music itself, the industry, or the fans who support it, terms such as ‘I’d rather eat dog testicles (than listen to K-Pop)’, are almost inescapable if you spend a lot of time online. Rather than focus on the negatives, I’d like to highlight the positives aspects of this booming movement. If I, the 21-year-old student who’s incurably obsessed with Frank Sinatra, Eminem and Slipknot, can become this heavily invested in K-Pop, who’s to say that nobody else can? With that in mind, welcome to my ‘Totally Comprehensive and Not at all Biased List of Top 3 K-Pop Songs That Everyone Should Listen To’ (in no particular order, of course). I figured I’d start off slowly and ease people in. 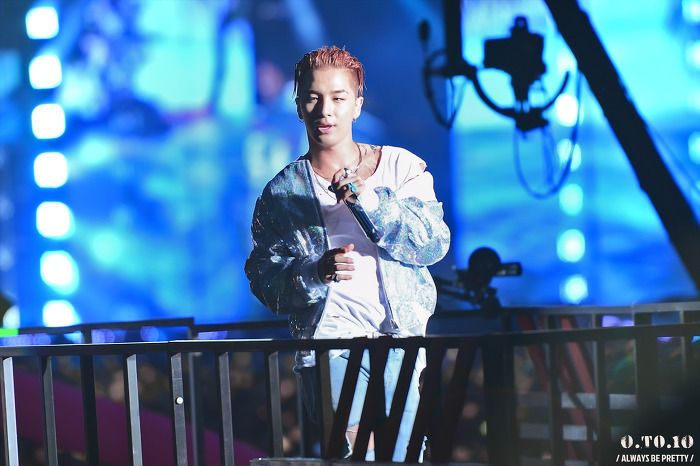 Previously a member of the K-Pop male group, BIGBANG, Taeyang released his second solo album RISE in 2014. Eyes, Nose, Lips is the title song, a powerhouse ballad which is noticeably more stripped back compared to BIGBANG more famous tracks such as 뱅뱅뱅 (Bang Bang Bang) and Fantastic Baby. Photo by Always Be Pretty (http://alwaysbepretty.tistory.com/39). Where the wide K-Pop misconception goes that “K-pop, for the most part, is still considered to be a manufactured, “fluffy” market for youth with disposable incomes”, Taeyang’s lyrics subvert this narrative. This is just one example of how profound and meaningful Taeyang is in his music. The lyrics tug at heartstrings and hint at the struggles Taeyang had when it came to hiding his relationship (many contracts which K-Pop idols sign contain bans or regulations on dating that can result in secret relationships). Anyway, if you’re a fan of angsty and heart-breaking lyrics, Eyes, Nose, Lips is a ‘must listen’ kind of track. With over 90 million streams on Spotify and 401 million views on YouTube, I’m sure you can see why I just had to include BOOMBAYAH in my list. Debuting in 2016, BLACKPINK burst onto the K-Pop scene and brought the BOOMBAYAH music video with them. Astonishingly, they were the first K-Pop act whose debut single was sent to Number 1 on Billboard’s World Digital Song Sales Chart: a feat which was unprecedented in America. Photo by Delicato JJ (170113 GDA 13P). 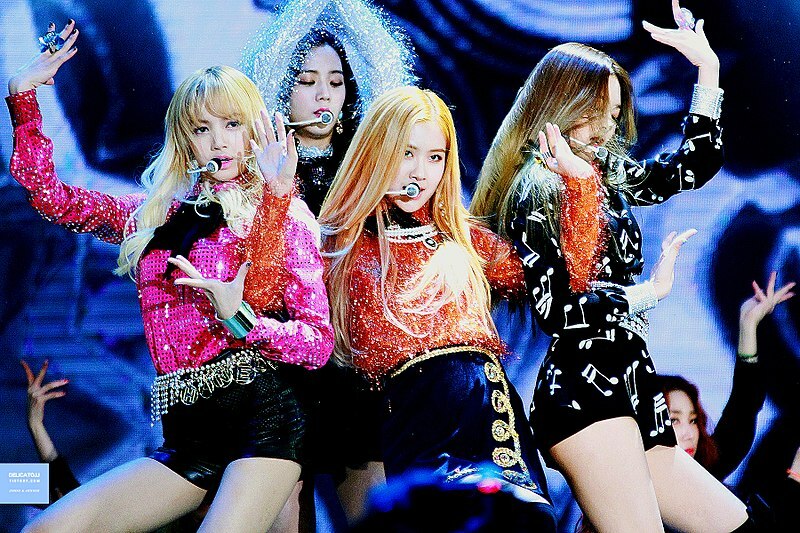 Reminiscent of the 90s “Girl power!” message, the bold and evident pride BLACKPINK take in their identity as a girl group is refreshing and a bold step forward from the tentative steps some western artists are only beginning to take. I could have recommended any BLACKPINK song, really, but seeing as BOOMBAYAH is the first of their songs I ever heard, I’d recommend you listen to that one first. Not to mention, it’s quite a bop. I feel like it’s almost impossible to mention K-Pop without BTS being thrown into the mix. The first K-Pop group to sell out a US stadium show; the first K-Pop group to have two number one albums chart on the Billboard top 200; the most viewed music video in 24 hours, knocking Taylor Swift from the top spot with over 45 million views. Their list of achievements goes on and on. As I mentioned, male K-Pop acts tend to be thought of as cut-and-paste artists, their market audience: teenage girls. For lack of a better term, their content is seen as fluffy. BTS – much like Taeyang’s Eyes, Nose, Lips – challenge that stereotype in several ways. Rather than adhering to the typical boyband formula, BTS cover a variety of genres, with Billboard describing Fake Love as being ‘dominated by rock instrumentals, trap beats, and emo hip-hop’: a world away from the stereotype they’re given. From the official music video for Fake Love. The music video itself provides dark, haunting visuals of collapsing floors and burning rooms. It’s matched with melancholic lyrics detailing the prolonging of one’s suffering for the sake of someone else. While K-Pop is merely a sub-unit of the monstrous $266 million a year Korean music industry (6th largest globally this year), there is no doubt that its influence is practically inescapable. I would like to think that, with a little nudge and some good recommendations, even those who would rather eat dog testicles will grow to enjoy it at some point, even if it’s only a song or two.